Video editing is arguably one of the most lucrative niches out there. And you necessarily do not need to be an expert if you are one who loves playing with images, video clips and, music to create something cool and astonishing. If you’re an aspiring video editing guy and can’t afford highly expensive video editing tools, but still starving for getting your hands on such weapons, have a chill because we have got you covered. 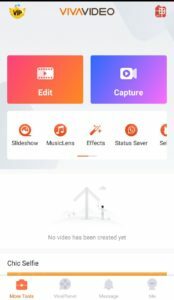 VivaVideo – Video Editor & Photo Movie is the popular one-stop app for all your video editing/creating and social sharing needs, available for Android and iOS devices. It allows you to create your video montage using stickers, themes, music, sound effects and much more. Moreover, working on VivaVideo doesn’t mandatorily needed any prior experience to get started with. Although, it’s so easy to navigate through the Android app even for a novice landed for the very first time. It aids you to enhance the quality of video with a plethora of pre-installed effects and filters. However, there are many video editing tools available on the market, but VivaVideo is undeniably the best yet reliable of all. Currently, the app has more than 10 million downloads on Google Play Store and with 4.6 user ratings by 9,899,424 individuals. Furthermore, VivaVideo is the second top grossing video and editors on Play Store. It is arguably one of the best video/photo editing tools for Android and iOS mobile users. On launching over the app, you’ll be asked to register an account which you can anyway skip it. Next, you have to choose your preferred language for the app. 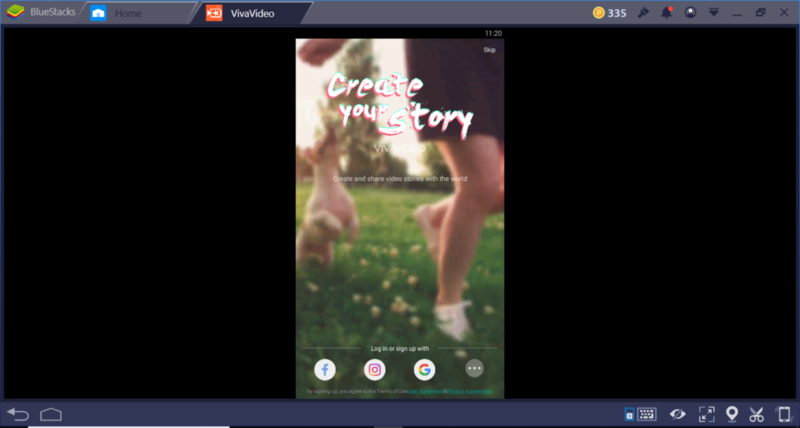 And in the main menu (homepage) of VivaVideo, you’ll get two options at the top, by tapping Edit you can directly edit or add effects taking any existed video/photo locally from your device or either you can shoot a new clip using Capture option. The My Studio feature will help you get all your drafts in the place where you can effectively manage them. Not this just, VivaVideo has got a lot more in its bucket to offer you. Slideshow maker: It is one of the most popular features of VivaVideo which offers you to create an eye-catching slideshow by deploying your simple everyday photos and turning into a short personalized movie incorporating additional text art, and animated texts features. Video editing tools: It comprised of a plethora of video editing tools ranging from trimming, cropping to looping video clips on the storyboard. Indeed these tools have made the entire video editing task easier than ever. VivaVideo allows you to merge video clips, cutting or inserting them into loops, copying/duplicating and has much more to offer for the user convenience. Video editing effects: VivaVideo has more than 1000 components and effects to offer to play with your editing game. With the help of the plenty of video editing effects available, you can effortlessly carry out many tweaks such as video speed adjustment, fade in and fade out, background blur, animated texts & fonts, GIF, Giphy video stickers and much more. Music and themes: Using the inbuilt music library you can download music for videos. And there are many categories available (pop, rock, cinematic, etc.) you can choose your music from. Furthermore, plenty of ready-made themes are the yet another attraction which you can take into work to show your feeling according to different occasions. Export and share: This feature comes very handy by using you can directly share your videos and photos on Facebook, Instagram, YouTube, Whatsapp, etc. And also you can go for the Export option if you want to save the media on your device only. VivaPlanet: Aids you to make new friends and one can also make a huge fan following using the platform. VivaPlanet offers you to share your content with other users and with good work, you undoubtedly can gain many followers. However, it works just like any other social media networks does, where you can share your videos with the world and make new connections with other users as they follow you or like your videos. All Android users can download vivavideo app from Play Store. All iOS users can download vivavideo app from App Store. If you not able to download from App Store, you can download the file from below. Since you know VivaVideo is readily available for only Android and iOS users, so you cannot directly use the app on your Windows PC. But despite the official unavailability, you still aren’t entirely out of luck. 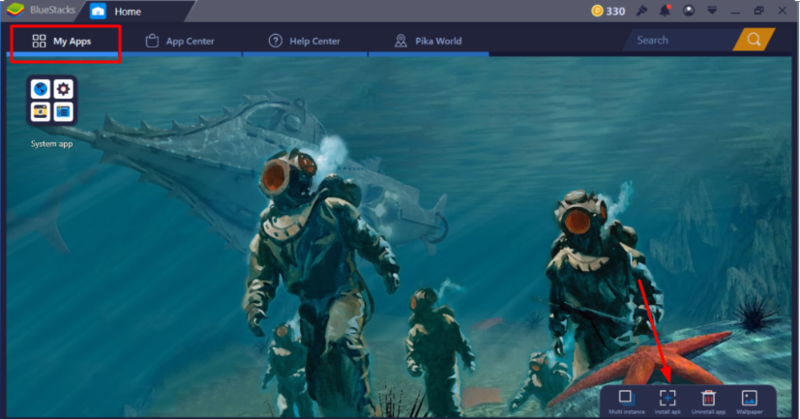 BlueStacks Android emulator is something which can help you get the VivaVideo up and running on your computer. 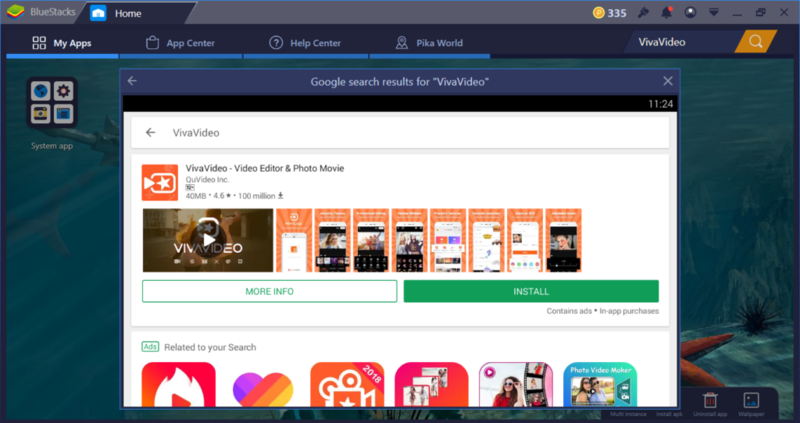 As there is no official version of VivaVideo is available for Windows users; therefore, you would be needed to download and install BlueStacks in order to use the popular video editing app. Primarily, you will be needed to download BlueStacks using the official website, if you already don’t have installed on your PC. Next, download the apk file of VivaVideo from this link. Once done, launch the BlueStacks and hit the My Apps section at the top left corner. And at the bottom, you’ll witness a small “Install apk” icon, tap it. Next, you have to select that apk file you downloaded and get it to fetch. You’ll see the app icon under My apps section, once it gets fully fetched and installed. Alternatively, you can also get the VivaVideo app on your PC without downloading the additional apk file. For this all you need to do is, head over to your BlueStacks’ app >> click “My apps” and type in the name of the app in the “Search bar” at the top right corner and thus, you can directly get the app from Play Store. However, initially getting started with the app you’ll be needed to sing up with a new account for the complete access to all features. Or either way, you can skip this for now and can do it later time. And not to mention, the user experience will be not that outstanding as it’s a mobile app and apparently only be having a mobile-friendly interface that might seem quite dull to you at first. And besides, all the features certainly will be identical as Android app. 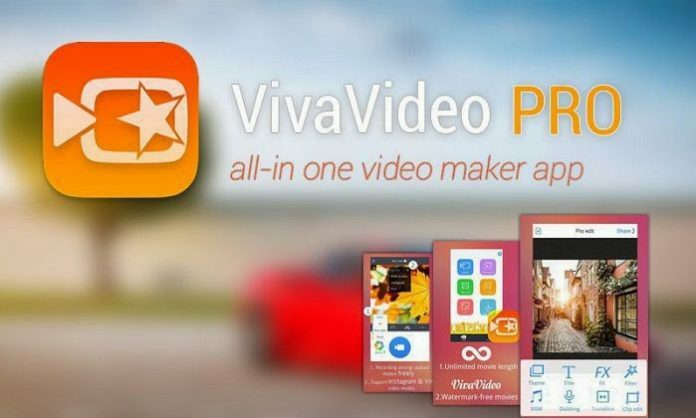 As you know, VivaVideo App is the free-to-use video/photo editing and sharing app, but let us tell you it also has a premium version named as VivaVideo VIP. On activating the premium subscription, you will be getting access to advanced features & 300+ premium materials. Although, currently VivaVideo is giving a massive discount on their one year package and you’ll be getting it for only 850 INR. With VIP subscription you can remove watermark from your videos and moreover, it will help you to get rid of the bombardment of annoying ads that otherwise would be too painful for one encountering it time and again. Video adjustment, HD export, Animated texts, No time limit, customized background and 300+ materials are some of the other notable features of the VivaVideo VIP. That’s all folks. We hope by the time reaching here, you already have successfully installed the VivaVideo app on your Windows PC. However, if still, you got any issues while going through the method, you can feel free to reach us by commenting below, and we will revert you with a resolution.